Rachel Platten has officially joined the celebrity Jewish mama cohort. On Saturday, the “Fight Song” singer and her hubby Kevin Lazan (also Jewish!) welcomed their first child, and she’s just as beautiful as her parents. 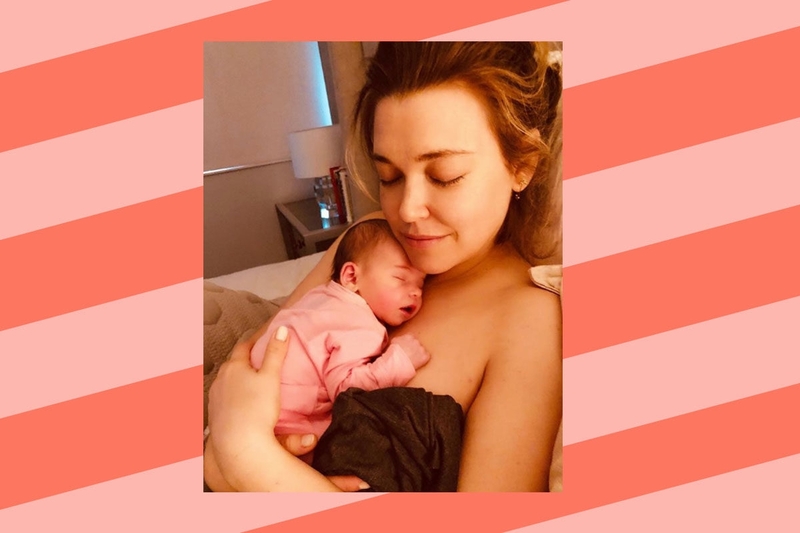 On Wednesday, Platten, 37, graced us with the first photo of her “delicious and cuddly” daughter Violet Skye Lazan on Instagram. Just a week earlier, the pop singer shared a slightly older photo on Instagram of a different newborn — herself! The post featured baby Platten fresh out of the oven in the delivery room with her smiling parents. Just over two weeks later, Violet was born. The singer first announced her pregnancy in July, and just a few months later Platten dedicated her new song “You Belong” to her daughter. Is anyone else verklempt!? Platten and Lazan, 38, got married in 2010 in Bristol, Rhode Island and had a beautiful, traditional Jewish ceremony. After nine years of marriage, the lovely couple are ecstatic to add a tiny addition to their budding family. “Wow, I’m a mom,” Platten said.